The denial is unsurprising for the 38-year-old whose racing career has been defined by a gritty determination and never-say-die attitude in the toughest competitions on the calendar. Yet Roger Hammond‘s 12th place ride at the National Cyclo-Cross Championships on January 8 looks like his last. “I’ve got nothing at the moment, I’m not doing anything, so I’m probably stopping,” he said at the time. Talking to Hammond a few weeks later, the situation hasn’t changed. “It’s not racing at the moment so I’m starting to look at doing some other things,” he says. It’s the closest to an admission of retirement that he gets. Despite the uncertain end to his racing career, Hammond has plenty of positives to look back on since he burst on to the British scene as a fresh-faced junior cyclo-cross rider with blond hair and a bike painted with tiger-stripes. “You have so many fantastic experiences, it’s an amazing career to have had and just every so often you start thinking back and think: ‘that was unbelievable,'” he explains. Hammond is the kind of rider who brings back memories for everyone who has met, ridden or raced with him. He first appeared in Cycling Weekly back in 1992, aged just 18, when he won the Junior World Cyclo-Cross Championships on home turf in Leeds – a win that marked the beginning of his aspirations on the road. As one of the old guard of British road racing, Hammond had to tough it out in the amateur ranks in France and Belgium, without the structure of the British Cycling Academy, to make his dream a reality. His enjoyment of racing in Belgium sparked a lifelong relationship with one race in particular: Paris-Roubaix. The demands placed on a rider in the ‘Hell of the North’ go beyond straight-line speed, playing into Hammond’s favour. Discussing the race with him, his passion for the cobbles is evident. After finding his professional feet at the Palmans-Ideal team, by the end of 2004 Hammond had amassed a haul of results that included six British Cyclo-cross championships, two British road race championships and a third place at Paris-Roubaix. Despite an impressive palmarès (his 2004 podium ride at Roubaix rubber-stamped a move to Discovery Channel in 2005), he remains coy about the professional scene at the time, particularly when he made the step up from the amateur ranks. “To come from the amateur scene where I was winning races, up to the professional ranks where I couldn’t stay with them, was hard. It was pretty depressing at times,” he admits. 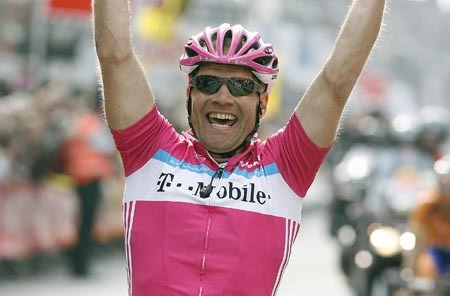 Hammond spent two years riding for Discovery and a further two riding under Bob Stapleton at T-Mobile and then Team Columbia. He continued to drive out his trademark gutsy rides in the spring, but explains that it wasn’t until he joined up with the Cervélo Test Team in its inaugural 2009 season that he felt he’d found a place where he truly slotted in and was comfortable. Part of that mentality included removing the elephant in the room that had been present in Hammond’s professional career to that point. “In no uncertain terms there was to be no doping; it didn’t matter whether we didn’t win a race,” he continues. “It’s not just about management, but about a group of athletes having the same approach as management and making it work. Content at Cervélo, Hammond completed his first and only Grand Tour at the 2009 Vuelta before recording one of his most successful Classics campaign with a seventh place at the Tour of Flanders and a fourth at Roubaix. Hammond explains that he found out late in the day that his contract with Garmin-Cervélo would not be renewed and, with team rosters already filled, his career has gone out with more of a fizzle than a bang. He is quick to point out that he enjoyed his time, but he is acutely aware of what could have been. “For me, the thing I always said to people was that I wish I’d had my career 10 years later. I would’ve been more in line with today’s modern cyclists and there would’ve been more opportunities for British riders. I don’t want to sound negative about it, because I’m not, but that’s just how it was. I just got on with the opportunity that I was presented with in a way that I was happy to do. As a rider who started at the bottom and worked his way to the top, Hammond now hopes that those challenges he faced as a rider will put him in a good position for the next stage. “I’d quite enjoy doing the commentary side of things, so I’d like to get involved with that sort of work. I’d like to think the things I’ve learned throughout my career would stand me in good stead to be a sports director who could bring a lot of positive ideas or hopefully bring quite a lot to the table as part of a team’s management. “My least favourite memory would be crashing in Roubaix last year. When you’ve got high expectations for a race but then crash, it’s horrible. But it doesn’t mean that I don’t like that race. The negatives are always going to be the races that I enjoy year in, year out but just had some bad luck with. It’s about being disappointed. “Riding the Vuelta often brought huge highs but equally, it could bring massive lows, too. “I remember the first time I saw it. There was just so much dust and mud and everything going on. I remember thinking at the time that it was a race that should suit me. “When I first raced Roubaix in 2003 I had no time to do any reconnaissance. I was riding a normal road bike and still managed to come 17th. So I thought to myself that if I could do that with zero preparation and a standard bike, then I’ve got a good chance of being up there if I’m competing on the same level as the others. 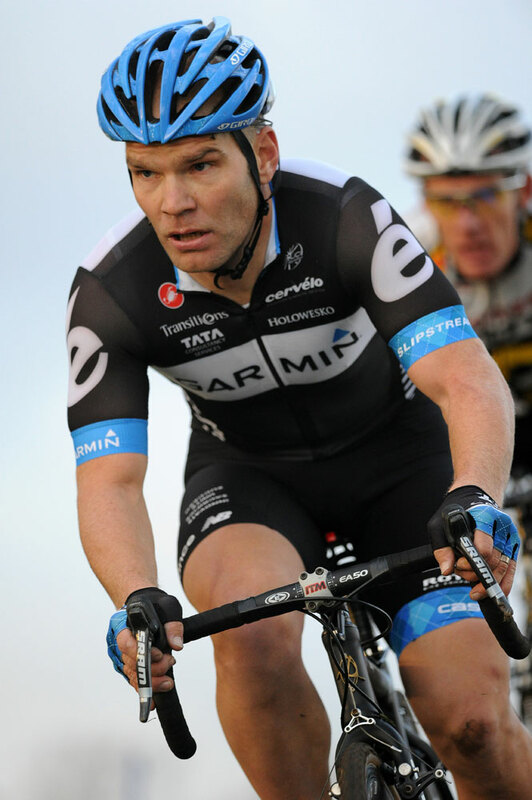 “I never shied away from the fact that winning Roubaix was my ultimate goal. Of course it’s a goal that I didn’t achieve but I can at look back and say that I had a good crack at it. I’d love to be able to ride until I was 60 until I finally won it!